Emily Ratajkowski was “Brunching with these beauties” when she and two friends ate at Little Dom’s in January 2016. Shay Mitchell gave her March 2015 “Brunch @ Little Dom’s” — which included the smoked salmon pizza ($16) — a thumbs up. 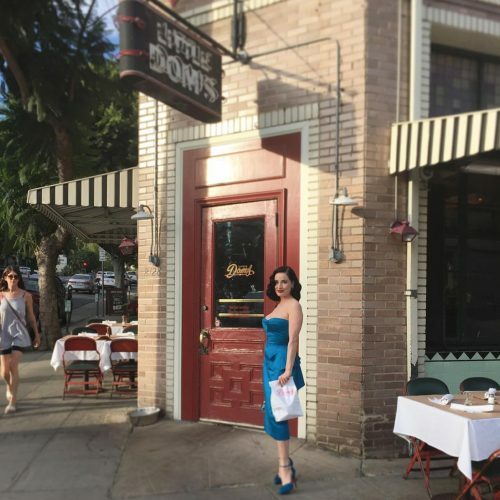 Adrian Grenier got the ricotta cheese & fresh blueberry pancakes ($10) for his September 2014 breakfast at Little Dom’s.